Here’s some more information on starting seeds. Right now is a great time to get seeds going for warm season crops like tomatoes and for cool season crops that need a little boost like collards. While cool season crops can be direct sowed soon I find that doing starts let’s me get a bit of a jump on the season and beat the slugs too. I put a lot of seeds in one pan to start with then plant them out. I have started sowing a lot of seeds in a cake pan with holes in the bottom then prick these out into larger cells once they have sprouted. This way I can pick the strongest plants and know that each cell will be filled. 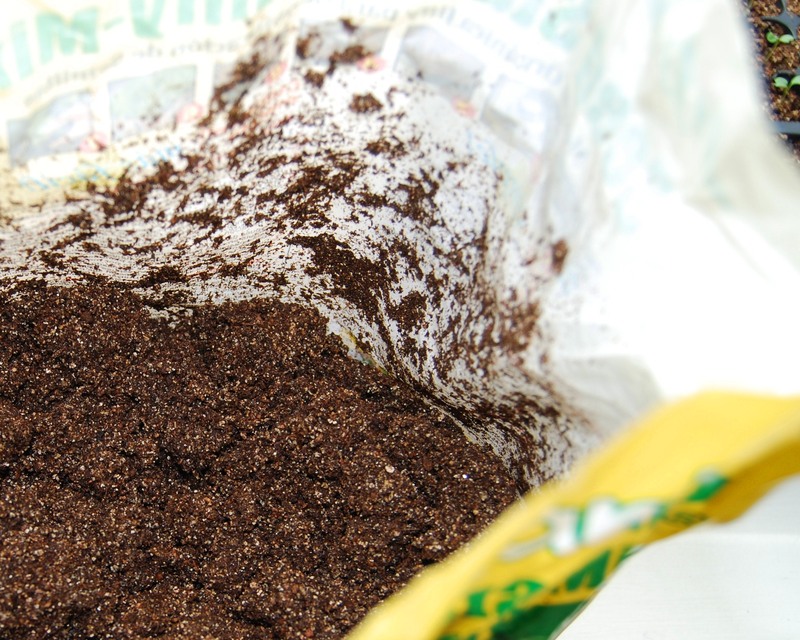 To prefill the cells I add water to the soil mix and shake it up until the soil is damp. Wetting seed starting mixes can be a real pain but this seems to help. I pour the mix down the middle then sweep it into the cells. Once the mix is damp I dump a lot down the middle of the cells then use my hand or a board to sweep the mix into the cells. Next I lightly tamp the soil down with the bottom of another seed tray. Chopsticks are just the right size for making a seedling hole. To plant out the seedlings I make a hole with a chopstick then carefully separate out the seedling touching only the early leaves and not the stem. 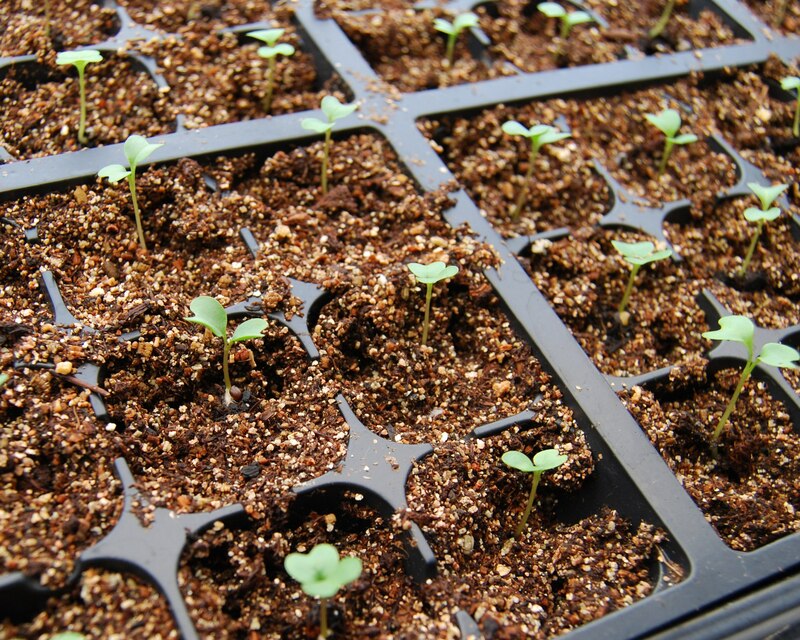 Once the seedlings are replanted place them in a bright window under a grow light. Here is a good way to set this light up using what you can find at the local hardware store. I’ve got two ideas that are similar but FREE. 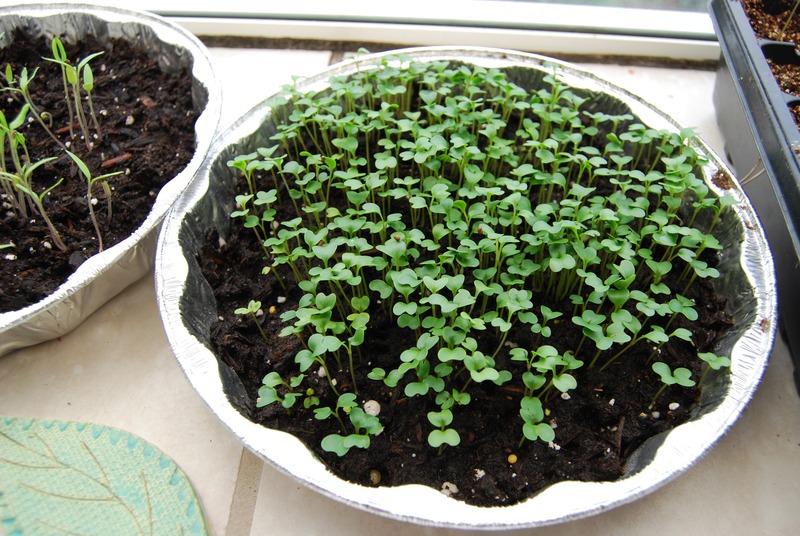 1) Start your seeds in a cardboard egg carton. 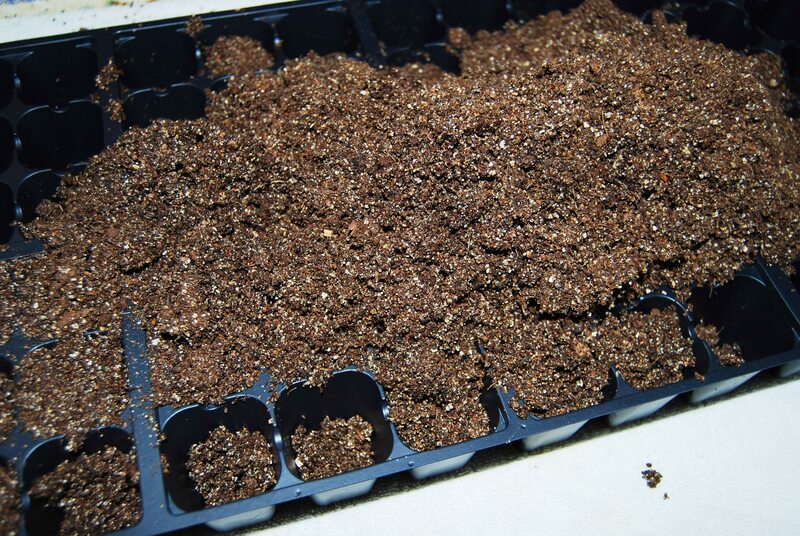 2) Start your seeds in one of the clear plastic clamshell containers you get at the market. The egg carton is free. As the cardboard gets wet, it tears apart easily. 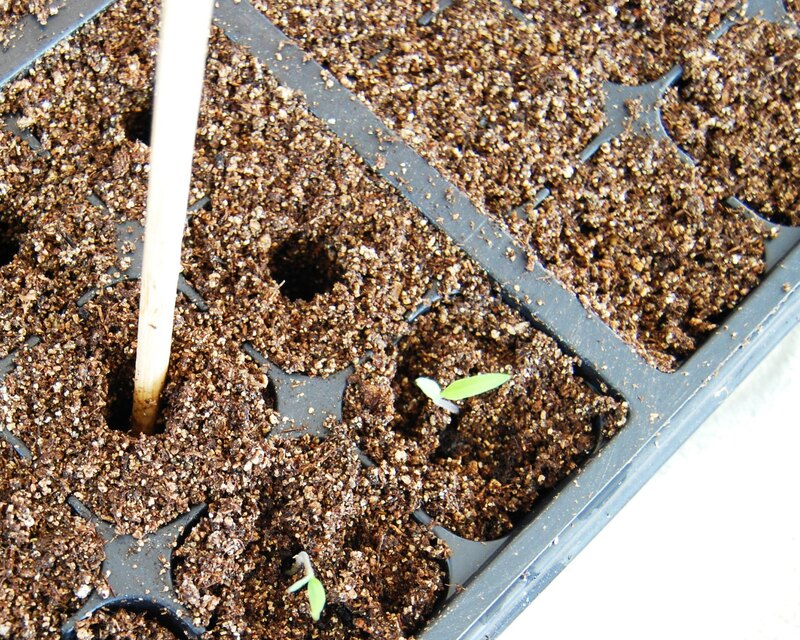 If you’ve got mixed seeds, just pull off the faster parts. The wet cardboard may also be planted with the seedling so there’s no tearing of roots. And you’re recycling. Be certain there’s something underneath as the carton will be wet. You get the clear plastic clamshells with food at the market or take out. Put jiffy pots in them or just fill it up with potting soil. When you close the top, you’ve got a little greenhouse. It won’t need to be watered and it keeps warmer than room temperature. Now have you noticed how new potting soil seems to REPELL water? Here’s a great tip. Put it in a plastic bag with warm water the night before you use it and it will soak up the moisture. If you’re in a rush, a drop of dish soap will help relieve the surface tension. These are great ideas! Thanks very much!